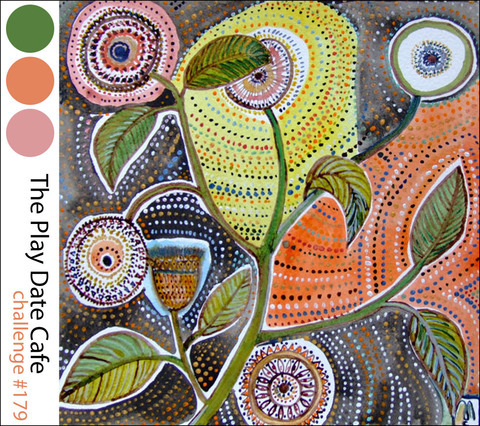 It's time for another pretty color challenge at The Play Date Cafe. This week our colors are Grass, Rose Petal and Hibiscus. I used papers from my Studio Calico Card Kit Club, Basic Grey Letters, pink enamel dots from My Minds Eye and Shiny Green Rhinestones from Queen & Co. Our sponsor this week is The Twinery, so be sure enter for a chance to win some awesome twine!! This is also the last week for our Private Blend Designer Ashley Bores. She has contributed some amazing creations over the last three months and we will miss her. Be sure to stop by her blog and leave her some love. I love this, the alphas!!! 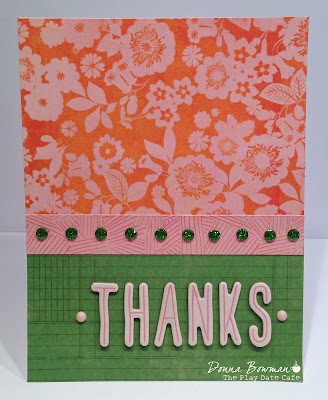 Awesome colorblocked card...awesome design! Such a pretty card Donna! Thanks for the inspiration! Perfect card for this colour combo Donna, they look to scary for me lol. What a beautiful card! 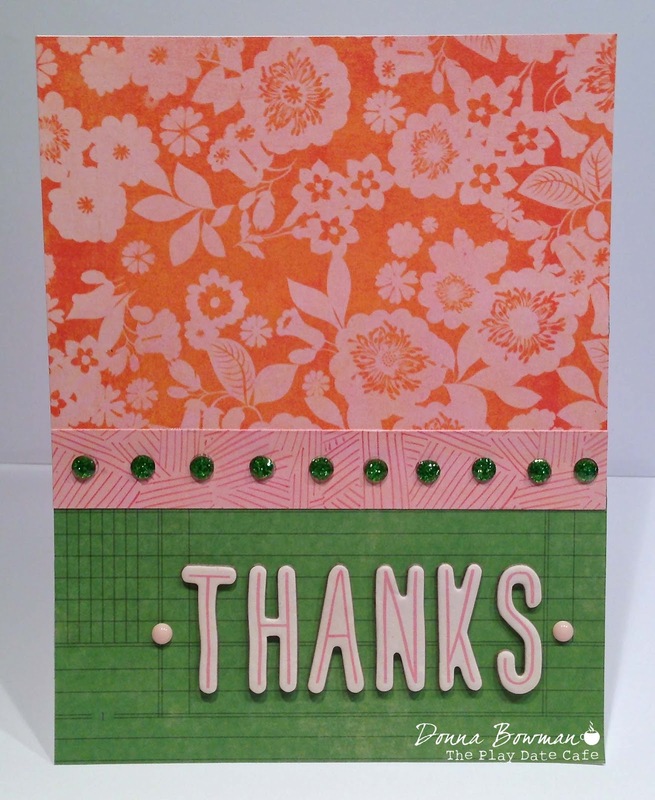 Love the way you used the colors... the stamped images look great. Very pretty! I like pink and orange together. The floral paper makes me swoon!